Kit Rae is well known for his fantasy swords and blades, but Kit has also been an avid throwing knife and axe enthusiast for many years. The AirCobra is constructed of one solid piece of AUS-6 stainless steel. 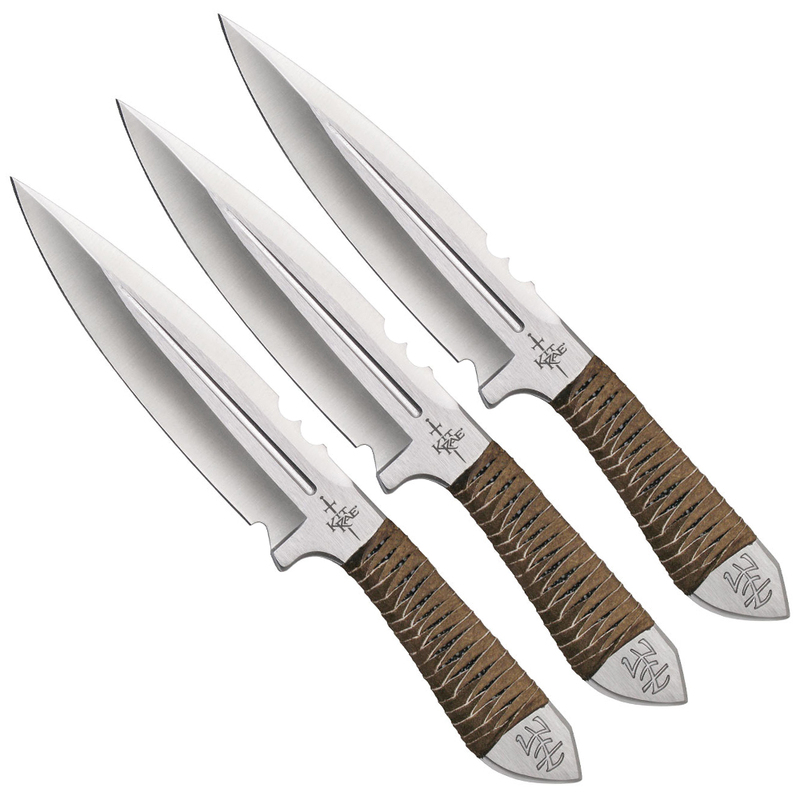 Features a balanced handle-to-blade design for perfect throwing and a leather wrapped grip. Includes a nylon belt sheath for carry or storage. Each AirCobra includes a point based paper throwing target. 4 3/4" bl, weight 4.2oz.